Recently, Macgo International Limited, the innovative leader in Blu-ray DVD video technology, has signed BD-ROM2 FLLA with Blu-ray Disc Association (BDA). Since then Macgo has cemented itself as one of the premier provider of Blu-ray apps worldwide, its main product Macgo Mac Blu-ray perfectly supporting Mac OS. The Macgo Mac Blu-ray Player is the world’s first and Blu-ray player for Mac OS, perfectly supporting from 10.5 to the latest 10.8. Since released, it has gained great fames and acclaims. With advanced technology, it can play any Blu-ray disc/DVD released in any region. Since its newly-upgraded version, Mac Blu-ray Player can stream Blu-ray videos from Mac to Apple mobile devices, like iPhone, iPad, and iPod touch, wirelessly with its build-in AirX function, so that you can have Blu-ray enjoyment much more freely. Furthermore, Mac Blu-ray Player is also one of the best all-in-one media player for Mac and PC. It can support all existing media formats: DVD, VideoCD, MOV, MKV, AVI, FLV, WMV, MP4, MPEG, RMVB, MP3, WMA, AAC, AC3, and ISO format. With DTS5.1 channel added and 1080p supported, Mac Blu-ray Player can play Blu-ray movies with high audiovisual quality and without any frame loss. Its SNS sharing function makes it possible to recommend your movie collections or reviews to Facebook or Twitter directly. Mac Blu-ray Player, featuring multi-language supported, lightning quick loading speed, user-friendly interface, and many other interesting and handy functions, brings a Blu-ray fun on Mac or PC platforms. Can the Mac blu-ray player play any region locked blu-ray DVD ? @henri jabko, Mac Blu-ray Player can play any BDs.For DVD, it need changed region code. What I’d like to know is where this leads your product. I’d be looking forward to a functioning menu system and definitely would pay an extra price to get it as I bought your product for $39. You need some info on your front page as to where this product is going to attract future customers and keep old ones. I second this inquiry. Would be great to have the full BD experience. @Mkummer, Blu-ray Menu is on! Please pay attention to our news. Just downloaded the latest version, and tried to pay attention to your news, I see no option nor any mention to full original BD menus out there… Am I missing something? @Kaal, thank you for your attention, we are trying to develop our full original Blu-ray Menus. We will inform our users once it develops. Is the personal license limited to just one personally owned computer? @Dwaine, Each registration code could be used to one computer, and it only can be used 5 times each year. @Antony, 3D is on our plan. can i use it with pioneer bdr-xd04 ? on mac ,without instaling windows ? since pioneer claims it supports it for windows only ? Can I use this software without internet? If I have played the blu ray on it before does it remember the licensing information for a particular disk? If not, any plans to make the program “remember” licensing information in the future? @Chad If you have played the Blu-ray before, you did not connect internet. If you play BD for the first time, you have to make internet connection for obtaining the licenses. I presume you need to buy additional hardware for this and it doesn’t just magically make your existing internal drive play Blu-Ray? @Roy Blu-ray Disc playback requires the Blu-ray drive to be equiped. So if you want to play BD on your Mac, you have to install a Blu-ray drive for it. Is there a way to copy my legally owned Bluray discs to my Mac with your software? Any future plans? @Ryan, We are regret that our software can’t support copy feature now, but we will take into account of our uses’ demand. 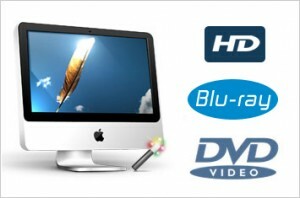 I just purchased and downloaded Mac Blu-Ray Player for my iMac. It was my understanding that this player would also play .MOV files on my Mac hard drive. It does not want to. I select the “Open File” button and it prompts me to select which file on my hard drive I want to play. I select the .mov file and it just goes back to the Mac Blu Ray Player screen. I have a brand new iMac 27″ running OSX 10.8.4 with a 3.2 GHz Intel Core i5 with 8 GB 1600 MHz DDR3 ram memory. What am I doing wrong? Thanks for your help. First, thanks for using our product. As for your problem, I want know which version you download, please download Mac 2.8.8 and have a try. Is there any limitations on the time of changing regional code using this software? I understand that some software will lock down the dvd/ blue ray dvd driver after certain changes in regional code. Is that the case for this as well?